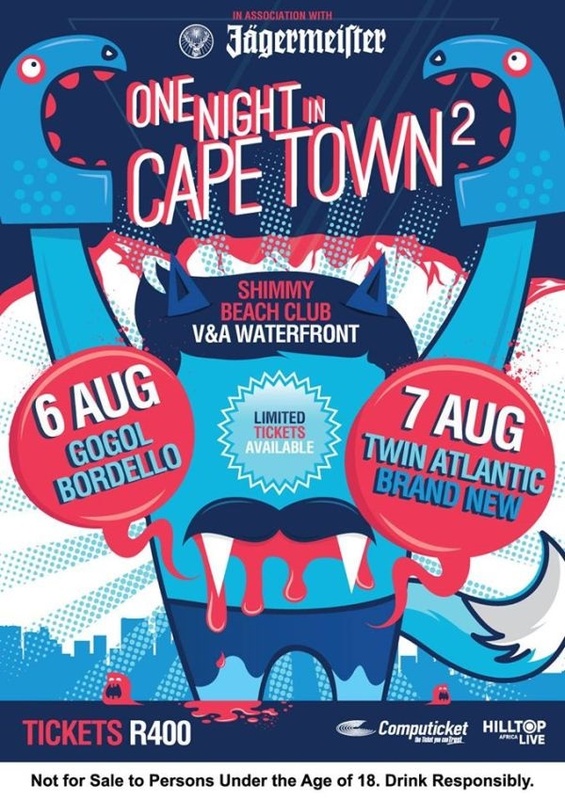 One Night in Cape Town is back with 2 awesome events this year! Cape Town – In case you’ve been living under a rock, international acts Gogol Bordello, Twin Atlantic and Brand New will be playing the Oppikoppi music festival this year. Tickets are available now from Computicket.